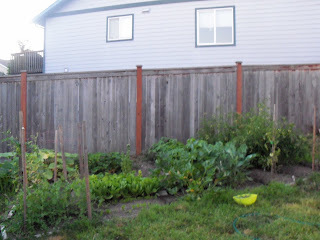 A Resourceful Home .com: Garden Update - Slugs! I meant to get this post up before I left for camping, so these pictures are from the last week of July. 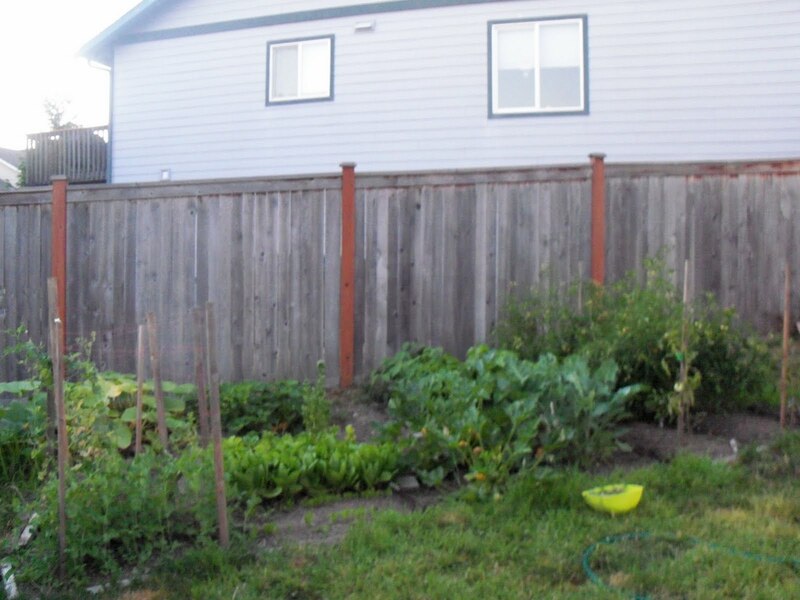 This is a full garden shot and the back of my neighbor's house. 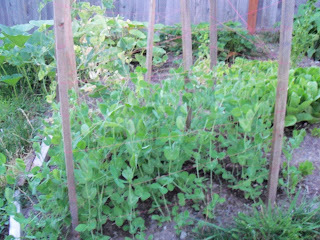 Here are the second round of sugar snap peas, humming right along. 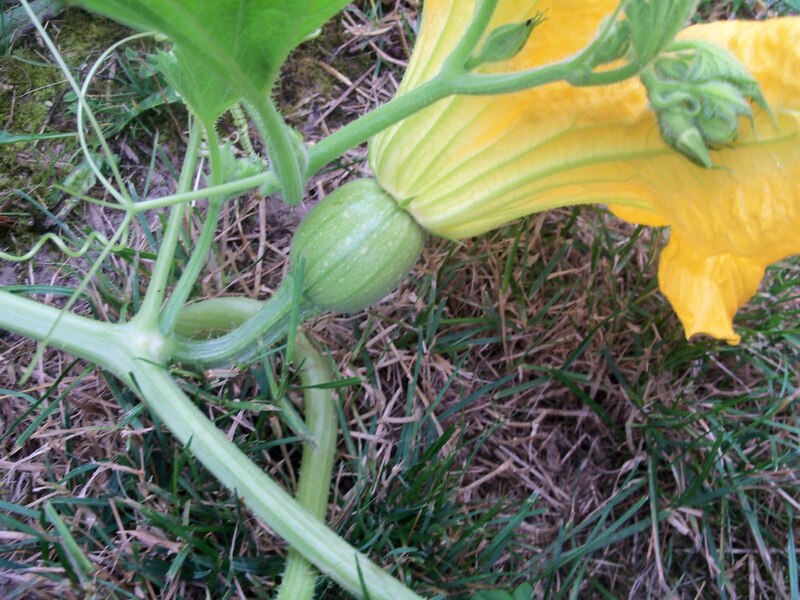 These are zucchini getting ready to produce abundantly, I think. 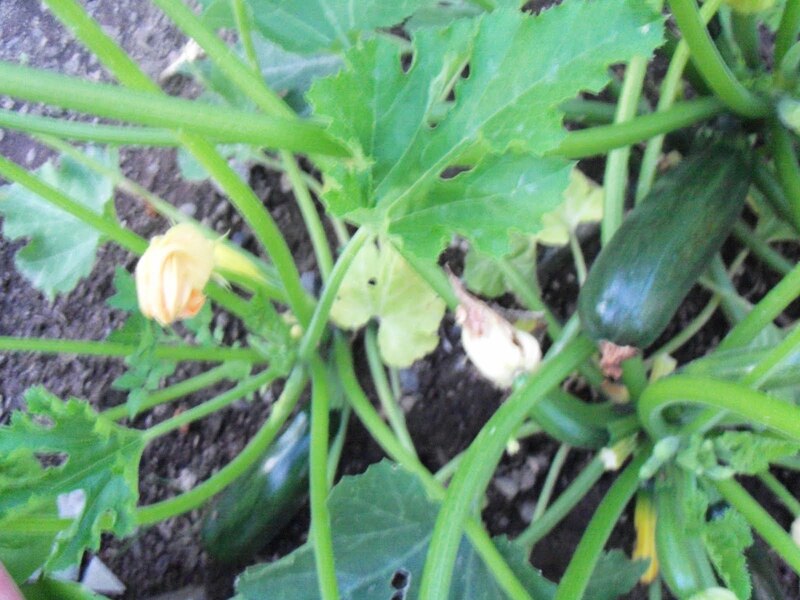 Last year we had piles and piles of zucchini to share. 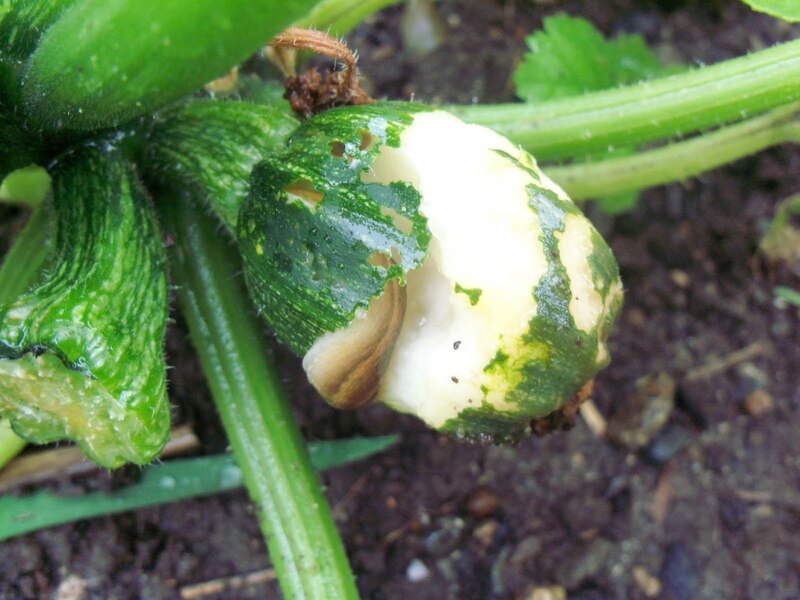 The slugs like the zucchini, too. I found this little guy one morning when I was watering. At first I thought the zucchini had been sunburned or something, but then I realized the skin had been eaten off and this little zucchini was essentially hollow on the whole top half. So yuck! I can't seem to kill slugs, but I usually just throw them across the yard and away from the garden. Yeah, I'm a total girl, but it takes care of the problem temporarily. 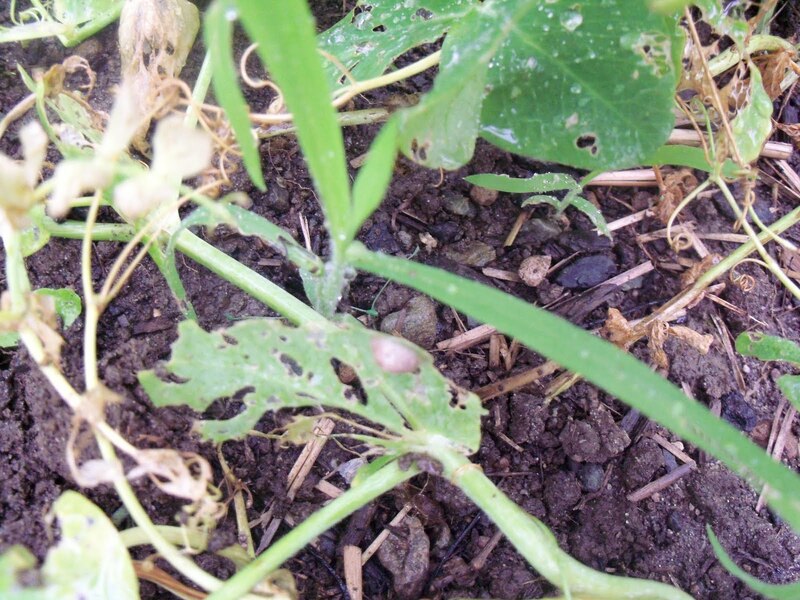 You can see that slugs are also eating the sugar snap pea leaves. These are the old vines that aren't producing any more, but you can see a slug right in the center of the shot on that leaf with all the holes in it. This is our first pumpkin getting started. I'll post again next week so you can see how much it has grown! 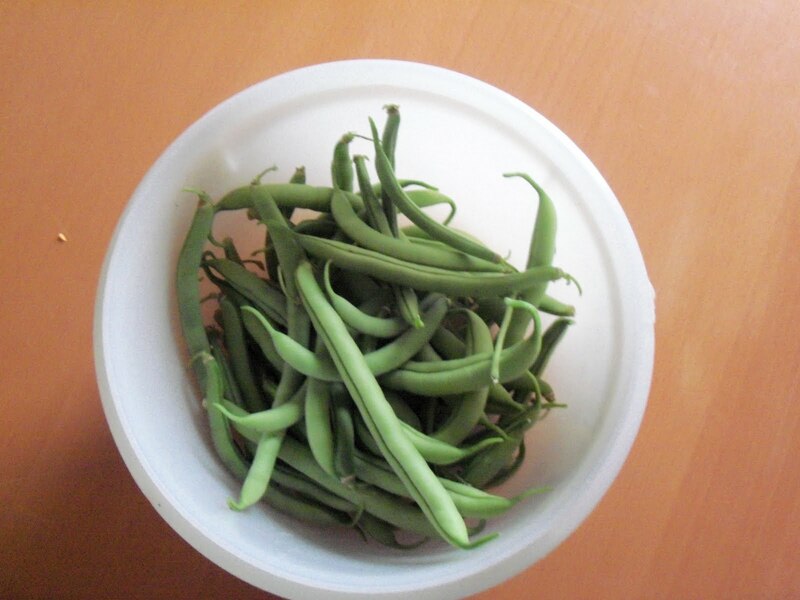 And finally, the first big green bean picking. Now that we're back from camping I am so excited to get tomatoes! There are so many promising green ones and I'm waiting, waiting for them to turn red. We also have lots of zucchini, green beans, and lettuce still growing to help with the grocery budget. My friend, Ruth, watered the garden while we were out of town and she said I should pull the strawberry plants out (since they're done growing) and see if I can get another quick crop of spinach or sugar snap peas in. I'll give it a try now that the weather is supposed to be improving.